We know that God is always with His people, as He’s promised to be. But there are also times of His special presence in power. 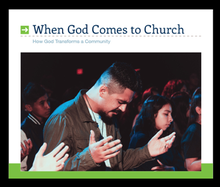 These are known as times of revival, when new life comes to the church, and then to the community at large. In this message we look back to times when God indeed came to church, and we find encouragement that He’ll do so again.